There is no secret ingredient to the cheeseburger at Burgers Never Say Die. 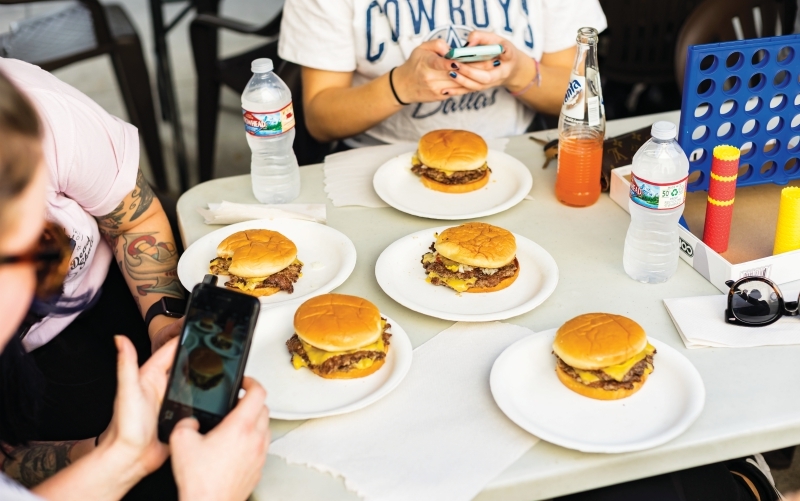 Shawn Nee, a former photographer who launched the weekend pop-up in his East Hollywood backyard last year, buys meat from a nearby supermarket. The melted slices of yellow American cheese are Boar’s Head; the squishy, butter-toasted buns are basic. 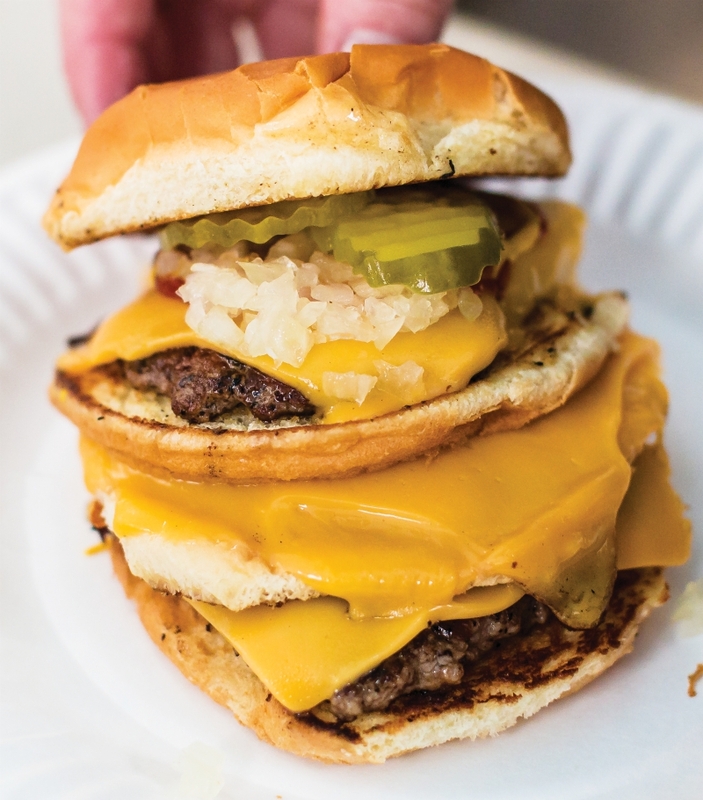 Each burger, made with a pair of thin, peppery patties that have been smashed onto a searing griddle until a lacy crust forms, comes painted with two circles of ketchup and one of mustard, then is topped with a couple of dill pickle chips and minced white onion. Imagine the platonic ideal of a classic McDonald’s cheeseburger: gooey, juicy, and gloriously no-frills, a rebuttal to the fussy brioche-and-blue-cheese creations popularized over the past decade. Before his Sunday cookouts drew legions of fans, Nee spent years perfecting his “smashburger” on a tiny griddle, mostly to feed friends. It was an unexpected furlough from work, and the ensuing free time, that led him to expand his hobby into a social-media-powered enterprise. Once a week, Nee set up a propane-powered flattop behind his apartment and sold $5 doubles, posting a photo on Instagram to alert a growing set of followers. As word spread about L.A.’s most delicious new burger, lines ballooned and waits stretched for as long as two hours. Concerned about the impact on his neighbors, Nee shut down his unlicensed operation in January. His new darling: a forthcoming brick-and-mortar in Silver Lake, one that offers tallow-cooked fries, milkshakes, fried pickles, fresh cookies, and still only one kind of burger (Nee is a purist that way). Eventually he hopes to launch a chain of Burgers Never Say Die locations, albeit in the In-N-Out model to ensure each burger is made using his precise formula.